While the local groundwater management district and the State of Kansas continue efforts to develop a conservation plan, the Water Protection Association of Central Kansas (WaterPACK) is engaged in ongoing exploratory efforts to fund augmentation for Quivira National Wildlife Refuge. Kogovsek & Associates has been retained to assist in finding funding resources for conservation and infrastructure. The concept is creation of partnerships between the WaterPACK and non-governmental organizations, as well as possible application for federal grants and foundation funding. The refuge's manager, the U.S. Fish and Wildlife Service, has determined that an insufficient amount of water is reaching the refuge to support the wildlife species which depend on it. Reduction of water use by the irrigators is a necessary part of the effort to improve water supplies within the refuge boundaries. But, irrigators need to manage the conservation effort in a manner which minimizes impacts to the regional rural and ag economy. While water users work with the State of Kansas, the Kansas congressional delegation has asked for technical assistance from the FWS. A letter sent by them to the Department of the Interior can be found here Letter. The technical assistance could come in the form of hydrological analysis, engineering of an augmentation plan and other necessary work. Interwest Energy Alliance joined numerous other organizations in applauding the Colorado Public Utilities Commission decision to advance the Colorado Energy Plan, which calls for replacement of energy production from two coal-fired power plants with renewable energy resources including solar and wind. The Alliance, represented by Kogovsek & Associates, was one of several major advocates for the CEP. Congress has broken a long practice of letting funding expire at the end of the fiscal year and funding programs at previous year's level for several months. The FY' 19 Energy and Water appropriations bill was one which passed both the House and Senate, and it has been signed by the President. While the bill does not include specific funding for the Arkansas Valley Conduit, it does include several hundred million dollars in additional funding for the Bureau of Reclamation. The Southeastern Colorado Water Conservancy District, a long-time client of Kogovsek & Associates, will work with the Colorado congressional delegation to obtain funding through those additional dollars, called "plus up" money. The District's team is working diligently on a new concept for the project which would make the early stages of delivery more efficient. 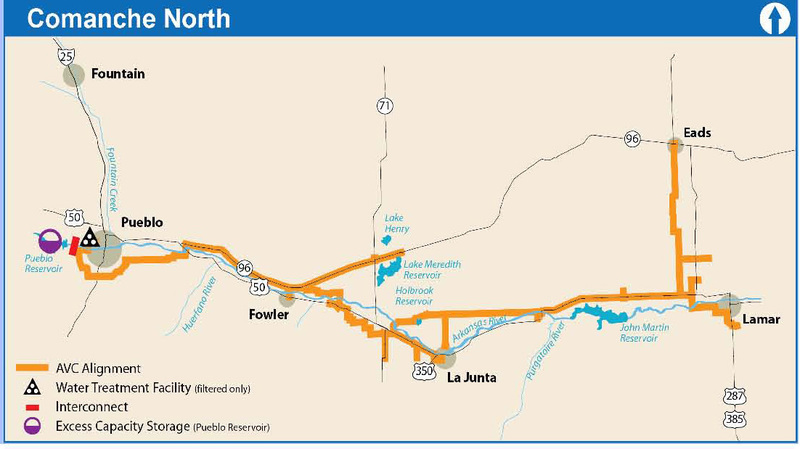 This process involves a partnership with the Pueblo Board of Water Works, whose existing facilities in Pueblo have capacity to move water to the Lower Arkansas Vally quickly and without many miles of new construction. Click here to read more about the new concept. Secondly, the Colorado Department of Public Health and Environment, which has been patient in waiting for a solution to the groundwater contamination issues which make the conduit a necessity, has issued new warnings of enforcement action to come if progress on the conduit cannot be demonstrated in the near future. After strong bipartisan support in the Senate and passage in the House of the 2018 Farm Bill, negotiations between House and Senate conferees have stalled. Among the issues at hand are work requirements for beneficiaries of nutrition assistance, and the proposed elimination of the Conservation Stewardship Program by the House. The previous farm bill authorization ended on September 30. Agricultural Committee leadership is working toward an agreement in October, and hoping to pass a new Farm Bill after the mid-term elections in November. Both bills have conservation titles which will preserve important programs that partner producers with USDA to conserve water and soils. But there are some significant differences, including the expansion of acreage under the Conservation Reserve Program and the structure of the Conservation Stewardship Program, as well as rental rate payment reductions. Clients from the Republican River and the Rio Grande Water Conservation Districts have been advocating for a strong conservation title in the five-year bill. We work with both districts on their Conservation Reserve Enhancement Program, which is a partnership between the districts, the State of Colorado and the Farm Service Agency. CREP allows producers to voluntarily enter into an agreement to retire irrigated farm land to conserve water in our semi-arid West. The producers are then paid a "rental rate" for those retired acres, with funds coming from the federal government and from assessments on producers within the District. Both Districts have strong conservation goals in their areas, where a heavy reliance on groundwater exists. Their purpose is to conserve and protect the underground aquifers for the long-term viability of agriculture production. The Republican River District is in the northeastern plains of Colorado, and the Rio Grande District is in the high-altitude San Luis Valley in central Colorado. Agriculture is the backbone of the economies in both regions, and maintaining the economic base and rural quality of life is a top priority. The western water community has in recent years focused significant attention on forest health and watershed management. Two major factors have brought this policy area to the forefront: all-too-frequent drought conditions resulting in catastrophic forest fires, and borrowing funds from management programs to fight the fires, leaving the forest health in jeopardy. With the enactment of the 2018 omnibus appropriations bill, the "fire borrowing" issue will see some relief, starting in 2020. The goal is to use those funds now preserved for non-fire forest management in programs that will enhance a healthy forest environment reducing fires or their severity. The 2018 Farm Bills passed by the Senate and the House attempt to further address forest health, although advocates will continue to push for additional provisions when House and Senate conferees meet. For instance, there are some headwaters fire regimes which are left out of the categorical exclusions, and western resource managers and water providers are working to change that. Provisions include stewardship programs at the community level, and increasing the categorical exclusion level from 3,000 acres to 6,000 acres, making smaller scale thinning and management efforts less cumbersome under NEPA. The water community, including providers and managers throughout Colorado, welcomes these breakthrough legislative efforts and will continue to advocate for them as the farm bill process continues. 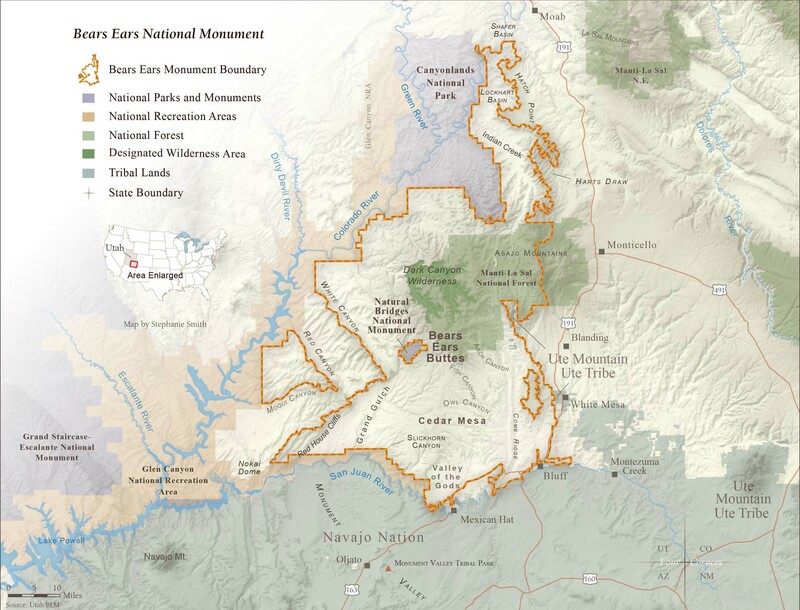 Legislative efforts by those who persuaded the Administration to slash the size of the Bear Ears National Monument designation have languished, and legal challenges by supporters of the Obama Antiquities Act designation are the focus. The proposed legislation would essentially codify the changes made late last year by President Trump. In addition to the drastic reduction in size, the mechanics of the commission originally chartered with managing the monument were altered, angering the tribal coalition which has long supported the monument and a hands-on role for managing it. While the legal challenges move slowly, Bears Ears advocates, including Colorado Senator Michael Bennet, continue to be vocal in their support. Click here Bears Ears for their most recent letter. The initiative by Tribal leadership and its legal and technical team to develop a legislative path for more decision-making authority is continuing, with fine tuning of statutory language and development of a Tribal environmental review policy. After consulting with area county officials, the Tribe has made adjustments to both proposals and continues to communicate with LaPlata and Archuleta counties. The Tribe has consistently coordinated its initiatives with the local government, recognizing that the checkerboard nature of the Southern Ute Indian reservation makes such partnering a necessity. The Tribe's thoughtful, analytical approach will yield a package its leadership will ask the Colorado congressional delegation to sponsor. This legislation would be specific to the Southern Ute Indian Tribe, and the delegation response thus far has been encouraging. After three years in the application process, the Environmental Protection Agency granted treatment-as-a-state status to the Southern Ute Indian Tribe, giving them jurisdiction to implement water quality program on tribal trust lands. See the EPA letter from EPA Regional Administrator Doug Benevento, who visited the Southern Ute reservation earlier this year to discuss this and other Southern Ute issues related to EPA. Efforts by a diverse group of hemp supporters, ranging from farmers to textile manufacturers, to broaden the ability to grow industrial hemp were successful in the Senate version of the farm bill. While production of hemp was enhanced by the bill, supporters will be looking for stronger provisions in the House/Senate conference committee, covering products made from hemp and not just the production of the plant material.